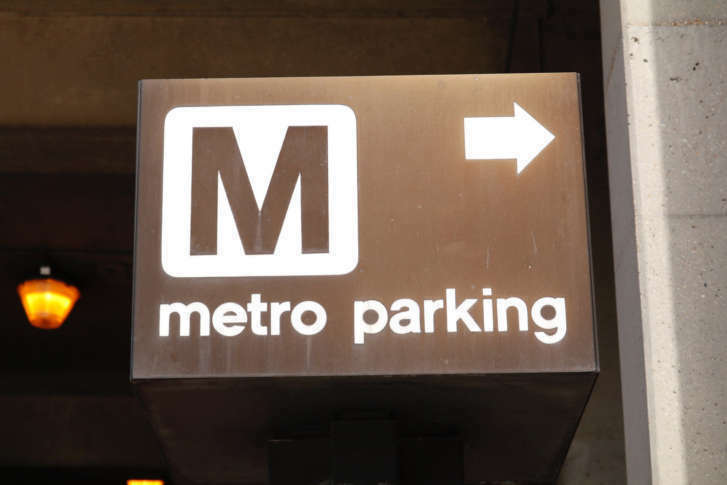 Metro is set to extend Saturday parking fees, extra parking fees for people who do not pay with a SmarTrip card just used to ride the system, and parking fee hours changes through the end of the year, with a recommendation that much of the “pilot” program becomes permanent. WASHINGTON — Metro is set to extend Saturday parking fees, extra parking fees for people who do not pay with a SmarTrip card just used to ride the system, and parking fee hours changes through the end of the year, with a recommendation that much of the “pilot” program becomes permanent. The Metro Board is set to vote Thursday to extend the changes through the end of the year, with a vote to make the changes permanent to be held following a public hearing this fall. The only immediate change to the new parking rules that have applied since February is to allow VRE and MARC train riders parking at Metro lots like Franconia-Springfield, Greenbelt and New Carrollton to pay the regular parking fee rather than the significantly higher “nonrider” parking fee. Metro calls the fix “reasonably simple” and expects it to apply to about 100 VRE riders daily, in addition to any MARC riders impacted. A draft Metro Board resolution says the fix must be supported by Metro’s fare collection technology and MARC and VRE would have to reimburse Metro for any upgrades required. The fee is charged to drivers who pay when leaving garages using a credit card or using a SmarTrip card that has not just been used to ride the rail system. At the ten stations added in February, Metro said the number of people paying with credit cards or SmarTrips not used to ride the Metro system within the preceding two hours dropped by more than 25 percent after the higher fees were expanded. Metro still collected $867,000 in total nonrider transactions in four months, although it appeared some of the credit card payments may have been from Metro riders who did not pay with their SmarTrip card. At Minnesota Ave. Metro, 84 percent of all drivers paying for parking use a credit card, which Metro believes suggests most of those drivers are not Metro riders. At most other stations with the fee, the proportion of nonrider transactions is mostly between 10 and 22 percent. Many Metro lots regularly have extra spaces available each day. Since February, Metro has also been charging a new $2 parking fee on Saturdays, which has collected about $225,700. More than 25 percent of that was collected on a single Saturday — the day of the March for Our Lives that followed the Parkland, Fla. school shooting. On other Saturdays though, the average collected is around $10,000 so far. “Customer survey responses suggests that one third of Metro’s Saturday riders would choose not to park and ride Metro if a new parking fee were imposed. By contrast, parking operations staff received few, if any, customer concerns or complaints once the Saturday parking hours were implemented,” a memo to the Metro Board said. Overall weekend ridership has already dropped significantly, largely due to regular major track work disruptions. If the Metro Board does not continue weekend parking fees, Metro staff want permission to charge for parking on specific days with large crowds like Inauguration Day or when there are large festivals, games or marches. Metro plans to offer both continued Saturday parking fees and the option to charge on only certain weekend days as part of this fall’s public hearing. The hearing is also expected to discuss potential changes to how Metro riders pay for parking generally. The weekend parking fees could also be expanded to apply on Sundays or holidays, and could be higher than $2, depending on what the Metro Board decides this fall. Metro also plans to add parking fees at its Kiss & Ride parking spaces if weekend parking fees become permanent. Since February, Metro has also been charging drivers who exit parking garages starting at 7:30 a.m. instead of 9:30 a.m. on weekdays. Metro said that change added $185,973 in revenue over four months. Metro believes “almost all” of those paying those fees are nonriders who have parked overnight in the garages or lots in violation of Metro regulations. Metro said there have been few customer complaints about the earlier parking fee hours. Metro also lowered regular parking rates at Landover and West Falls Church in the hopes it would draw more riders there. More drivers have been parking at the two stations since the lower $3 daily fee was implemented, but it is not clear whether they are simply drivers who had been parking at other Metro stations or taking the bus to the train. While parking usage has risen by 80 to 100 cars at each of the stations, parking revenue has declined by $32,758 at Landover and $129,111 at West Falls Church from February through May compared to the same time last year. If the additional people parking at the lots are new riders, the parking revenue decline could be made up in rail fares. All of the parking pilot changes had been set to end Jul. 31. “The reason to continue the pilots’ hours of revenue collection and fees is to avoid customer confusion while staff goes through the Compact Public Hearing process,” Metro staff said in a memo to the board requesting the extension through the end of the year. A civil rights analysis completed by Metro concluded the changes implemented in February do not have any unfair impacts on minority or low-income groups.